Thank you so much Kristina for making my dream wedding come to life. Everything was more than perfect and it wouldn't have been possible without you. Thank you so much for the magnificent job you did with the drapery and chandelier instalments for our wedding. Our reception marquee was beautiful, you brought the class and elegance we had hoped for. I had a vision for what I wanted and you far exceeded my expectations. 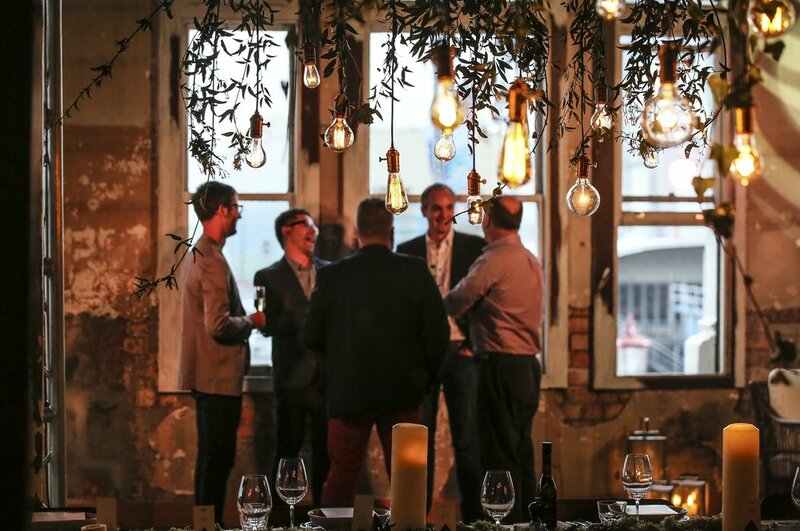 Thank you so much for all your work on our dinner at Shed 10 - it looked amazing and the client was so happy! It certainly transformed the Shed into the magical NZ forest vibe we were going for! We just wanted to say a Big thank you for all of your help organizing our event. Your involvement from the beginning was awesome you really themed the event for us, without having a 'theme' as such! The lighting was absolutely beautiful, and we had several comments from our clients on the night. We would not hesitate to recommend your services to anyone in the future, and we will definitely be in contact with you for our future events. I wanted to email you to say that I am so pleased that I chose your company to decorate our venue. It absolutely made the day. The venue was unique, but your contribution made it special. Thank you so much. I was so touched by the good will and enthusiasm of your team when we met briefly before the 'do'. Without your contribution it would not have been the same.